Walks are one of the most exciting things in many dog’s lives. So it is understandable to expect a bit of excitement when they see you grab the lead, and usually it puts you in a good mood to be providing your pooch with the best part of their day. But a walk is actually so much more than a stroll along the road, and to stay in control of the whole process is an extremely important part of managing your dogs overall behaviour. It may sound a bit over the top to be so serious about such a fun activity for both the dog and owner but, as usual, a few simple things can make so much difference to your dog’s obedience level. Or at least you should be. 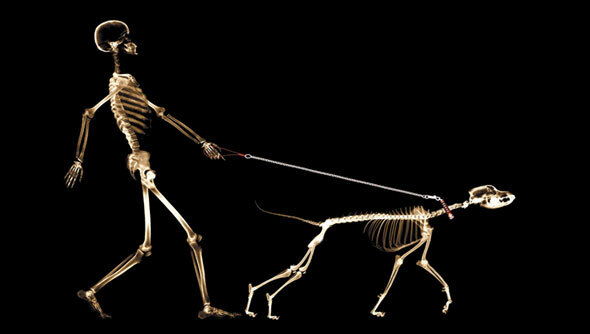 How to walk a dog is really up to you. The reward of off leash should come after some structure. So don’t let your dog decide when the walk is to take place because you need to stay in control from the very start in the dogs mind. Put their collar on and your walking shoes, then perhaps just relax for a few minutes until they are calm, then attach the leash making sure the dog’s excitement has practically disappeared, before heading out. Try your best to not hype up your pooch with promises of ‘walkies, walkies’ (yes I know it’s the highlight of your day!). Starting the walk with a calm attitude will again lead to a far more enjoyable experience in the long run. Many of us have our dogs running the show from the word go, dragging us out the door, and charging down the driveway. By this point your friend at the other end of the leash has made all the decisions, all the while taking no notice of you. Dogs are so logical and very clever at understanding who is deciding what happens and when. So if they are bringing you their lead and pushing you out the door, then they are in charge. Don’t be fooled. But if you choose when it’s time to go out, and only put their lead on when they are relaxed and chilled, they soon figure out that that’s how walks will actually begin. Sure, there is a time to let them run free like crazy and that is a reward. But that’s only when you say, and not when they pull and pull until you give in. And if you choose to walk your dog on a long line, don’t just let them go where they want to for the whole walk. Again, you are in control and you will walk for a certain length of time then allow them to have a loose leash to stop and sniff, or you can take them over to a lamppost. You do! It’s not being mean, it is about your dog understanding that your commands are to be listened to and that will give them a lot more freedom in the long run because you will trust them to listen and do as you say. Finishing the walk is also an important part of the process. It should always end calmly and positively. The walk isn’t always an instant fix – with some dogs it’s something that you have to chip away at but with time. But if you walk the dog calmly from the start they will simply understand that this is how it has to be and they will stop pulling you around the block. Remember the walk is often won and lost before you reach the street!